Ahimsa Yatra reached Kakinada today. 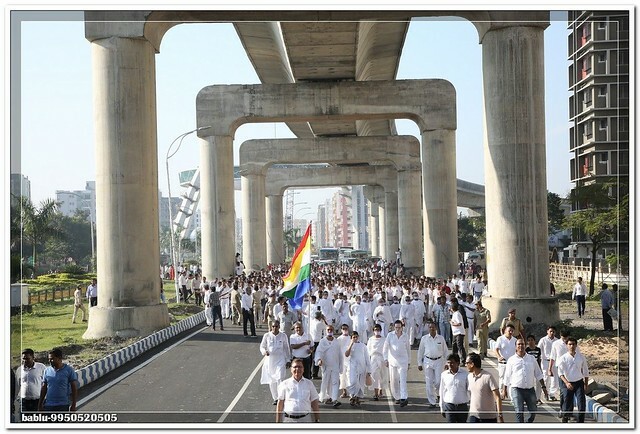 The lay followers organized a spectacular rally in the welcome of His Holiness Acharya Mahashraman. Here is a glimpse of Today's Vihar and Prime Sermon. His Holiness Acharya Mahashraman preached in today's Prime Sermon that, our life is without protection and shelter. So what should we have to do? The solution is acceptance of the patronage of Dharm. His Holiness explained this with a Sanskrit phrase- the person gets away from committing sin and walks on the path of Dharm, that person can completely become his own shelter someday.